For all we know, based on the news release of this new program, Holder is right now deploying his crack “engagement specialists” to the Irish bars of Boston to mop-up diehard IRA sympathizers or combing the rural churches of New England for any remaining Puritan opponents of Royalist England. To be fair, Holder does mention ISIL, Syria, Iraq and the 13th anniversary of 9/11, but nowhere is any word used that directly associates these events with radical Islam or Muslim culture as the proximate cause of the need for the program. Holder’s announcement reminds us that back in 2009 the Department of Homeland Security issued an “intelligence assessment”, really more of a political broadside, arguing that “rightwing extremism,” defined by then-Secretary of Homeland Security Janet Napolitano to include groups opposed to abortion and open immigration and even returning veterans as among terrorist risks to the U.S. The report was so outrageous that Rep. Bennie Thompson of Mississippi, then-chairman of the House Homeland Security Committee and the top House Democrat with oversight of the Department of Homeland Security said in a letter to Ms. Napolitano that he was “dumbfounded” that such a report would be issued. President Obama and his key people, such as Attorney General Holder, have all too willingly embraced a foolish, perhaps fatal, politically correct description of who the enemy is in this war radical Islamists have declared on us. 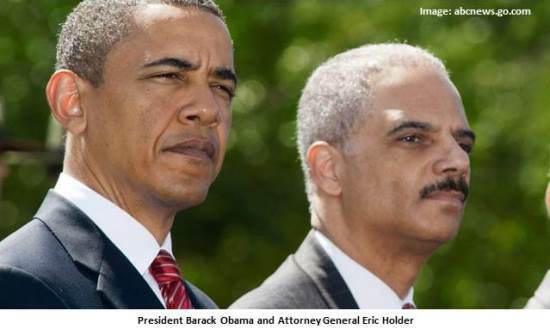 Read Attorney General Eric Holder's bizarre news release through this link.